Having many pair of shoes, requires having different types of purses and clutches. And this means that you will need some kind of storage for all of them in order to keep them organized. So, as we are always here for you to give some great organization tips and tricks, today we are bringing to you 10 Fantastic Ways To Organize Purses And Clutches and we are sure that you will find them really useful. 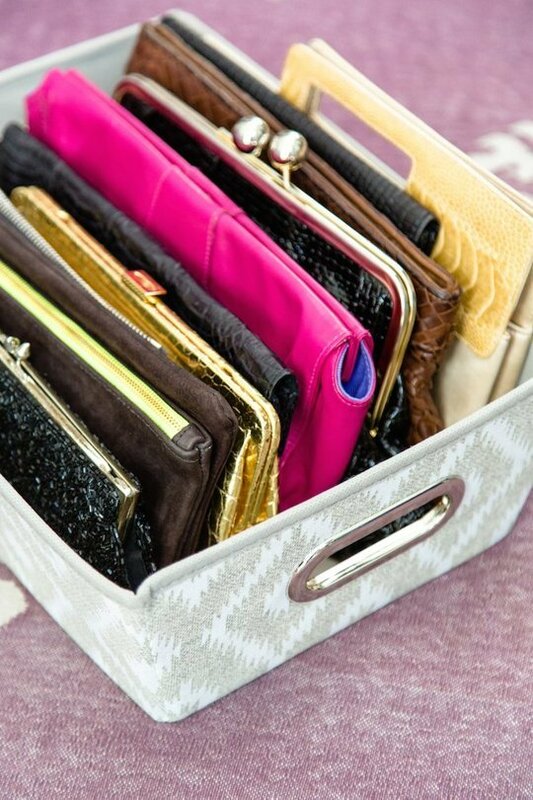 Check them out and choose how you will organize your purse collection. Enjoy! Magazine holders can be also used for storing other stuff, such as clutches. Acrylic magazine holders are best option for such purpose, but you can also use wood or cardboard holders. 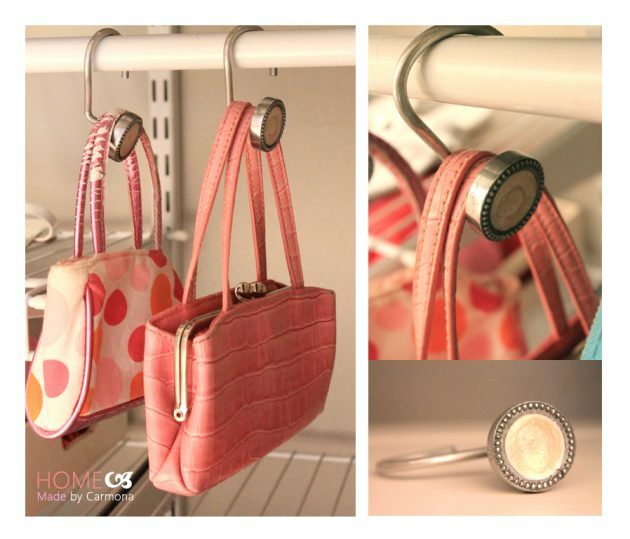 One way to store purses is to hang them on shower curtain hooks in the closet or maybe in the hallway. Wine racks can be also used for storing other stuff than wine bottles. 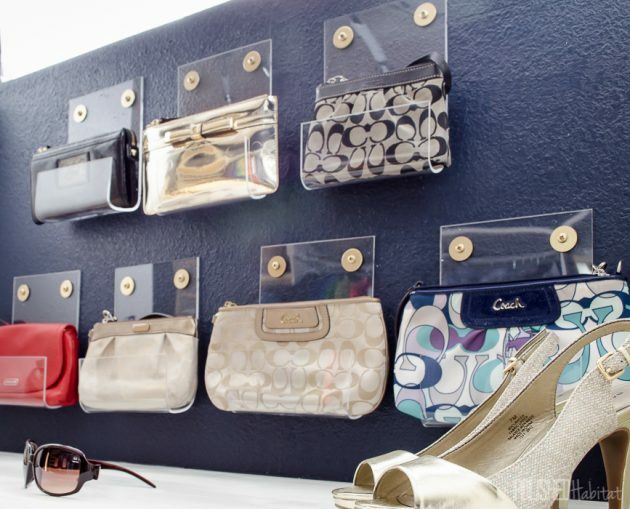 So, hang some on the wall and use them for storing some of your clutches. 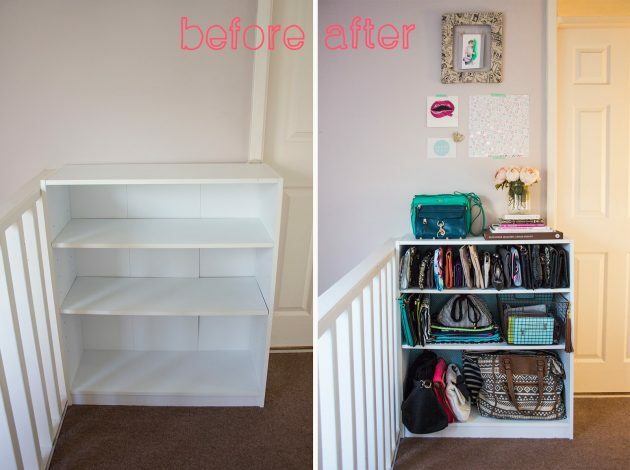 If you have some open shelving dresser, you can use it for storing all of your purses, handbags or clutches. Decorate the shelves with some wallpaper and add some baskets for better organization. 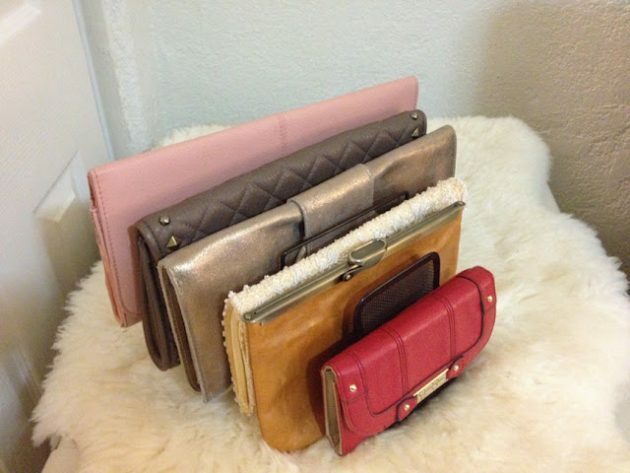 You can also store clutches in a tote, that you will later place on some shelf in the closet. Pegboards are also considered as great storage solution for versatile items. Add some hooks and hang all of your bags on them. 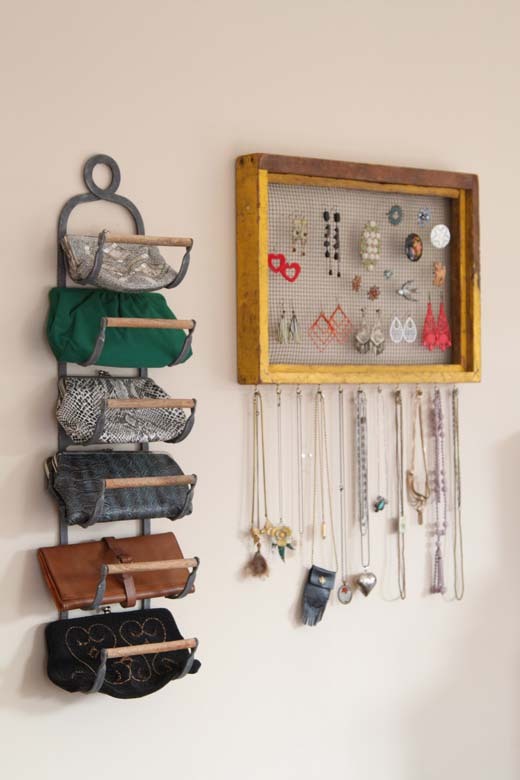 Besides wine rack, lid racks can be also used for storing your clutches. You can also make a acrylic clutch holder with removable dividers. Find out how to do it on the link below the photo. Clutches can be also organized on a mail organizer, which is something that everyone can afford to have it. 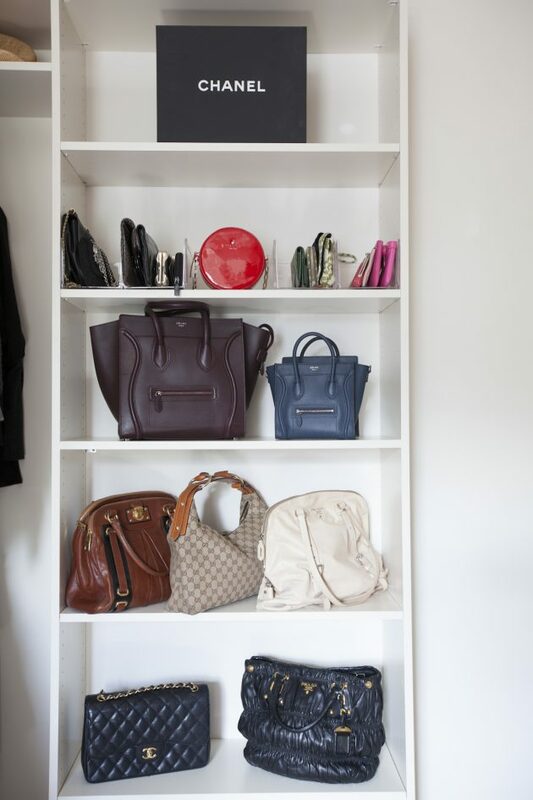 Or if you have some extra space in your closet, you can store and organize all of your bags and clutches on shelves. 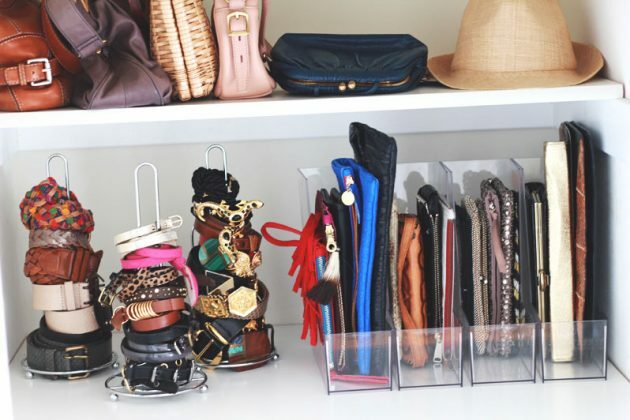 So, how would you choose to organize your purses and bags? 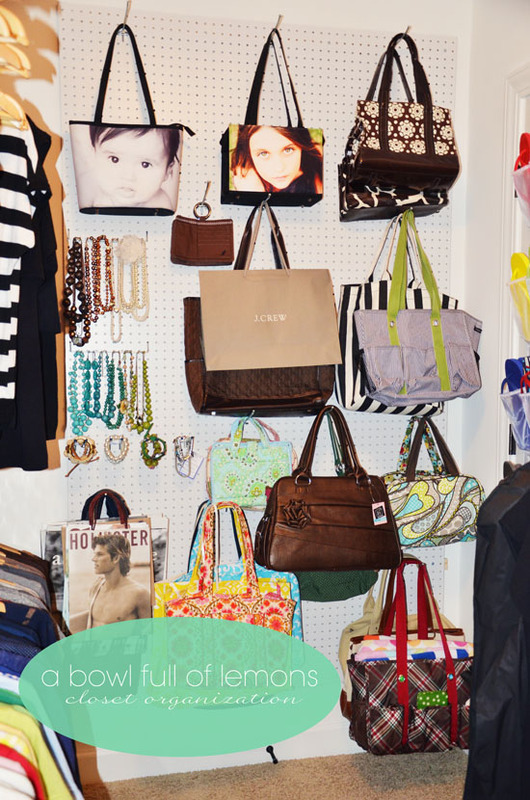 Tell us in the comments and also let us know if you have any other idea of how to store your purses and bags. Thank you for reading and don’t forget to stay up to date with the content of Fashionsy to find many other ideas of how to keep your closet organized.